The Master of Science in Nutrition is a 36-hour program that is completed 100% online. The program has a Community Nutrition emphasis and is designed to enhance knowledge and skills of future nutritionists, dietitians, and other professionals in nutrition practice, thus enhancing the ability of health care practitioners to provide an integrated and cohesive approach to meeting the needs of clients. 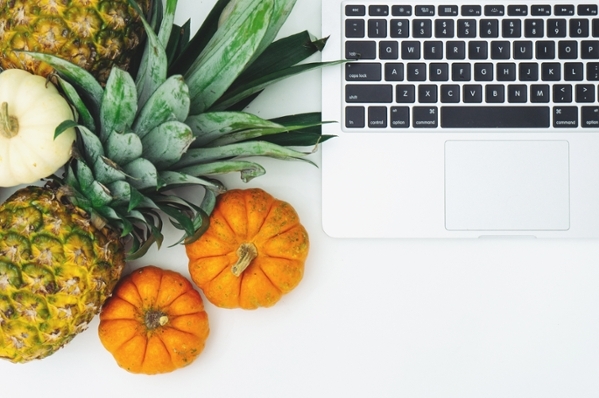 The LU online MS in Nutrition degree bridges the gap between formal education and professional practice as it prepares the program graduate to be a powerful part of the solution to numerous nutrition challenges. This master's degree does not provide eligibility to sit for the National Registration examination to become a registered dietitian nutritionist, nor does it provide eligibility to apply to a dietetic internship. The program includes 3 hours in Nutrition Research; 6 hours in Nutrition and Metabolism; 15 hours in Community and Lifecycle Nutrition; 9 hours in Contemporary Nutrition; and 3 hours in a capstone experience. Program graduates will have the opportunity to prepare for a career in nutrition and/or nutrition-related fields by developing marketable skills. See our marketable skills page for specific skill set applications. Applicants must have a bachelor’s degree from a nationally accredited undergraduate program. Applicants must have an overall GPA of 2.5 or higher on a 4.0 scale or a 2.75 GPA in the last 60 hours of their undergraduate degree program. All students desiring entrance to the program will receive a review of their prior coursework. In some instances, additional co-requisite courses may be required if undergraduate course transcripts do not provide sufficient evidence for successful mastery of cognitive and/or practical applied skills and abilities as related to the program. All co-requisite courses are taken online. Through the completion of the Lamar University MS in Nutrition program, graduates will be poised to become agents of change within the state and nation. Job opportunities include being managers, researchers, educators, advocates, and directors who can provide leadership in creating and implementing programs and policies concerning nutrition. In addition, courses throughout the program expose students to career opportunities. The program culminates with a capstone course where students are provided opportunities for in-depth career explorations in their area of interest. Graduates will leave the program with a complete portfolio demonstrating the skills and knowledge acquired.